Engage in polymer materials, fiber spinning, functional materials and other research topics. 4. Doctors are with preferential remuneration, and salaries are negotiable. 3. 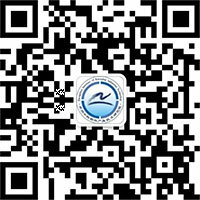 Enjoy five-insurance and one-fund, statutory holidays and paid holidays stipulated by the state, and there are also transportation subsidy, communication subsidy, lunch subsidy and so on. 1. Registration and submission materials: provide personal resume (including photo), research experience and other relevant information to prove competence level (scanning copies of academic and degree certificates, electronic version of published papers/patent applications, abstract of academic papers, awards and other details), the title of the email should be marked as “Name - Graduation School - Major - Application post” and sent to smjkzp@ipezz.ac.cn. 2. First-round interview by research department: first qualified candidates are required to prepare PPT competitive report (report within 20 minutes, and defense within 10 minutes). PPT report mainly includes: (1) basic personal information; (2) work performance; (3) understanding of the position applied; (4) future work plan. The research department shall notify the first-round interview and reply defense separately. 3. Second-round interview by the institute: the candidates passed the first-round interview by research department will have unified comprehensive quality assessment and interview arranged by the institute (generally, the interview proportion for the institute is no more than 1:3), reimbursement of one-way travel expenses shall be made to the personnel who participate in the second-round interview of the institute (second-class seat below of high-speed railway, hard sleeper/hard seat of railway, coach; if the economy class of an airplane is lower than the second-class seat of a high-speed railway), and return journey fees for hired applicants shall be reimbursed. 4. Physical examination: the candidates passed the second-round interview by the institute will have entry physical examination in designated hospital of the institute (generally, it is arranged after the date of the second-round interview by the institute, and relevant expenses shall be borne by the institute). 5. Determine the prospective recruits: the institute will determine the prospective recruits according to the applicant's basic information, interview and physical examination results, and the organizational personnel department shall be responsible for handling relevant procedures.